In 2001, Brazilian popular movements convened, with the support of organizations from elsewhere around the world, a Forum in Porto Alegre to facilitate the discussion among activists from civil society in turmoil, above all in Latin America, where the winds of change blew hard! There was lots of excitement about the huge popular mobilizations that led to the emergence of new progressive governments in the context of the massive rejection of the neoliberal policies and the new military adventures of the USA and its NATO allies. The organizers, including the Brazilian Chico Whitaker, were themselves surprised by the success of the first Forum, and thought that this event had to be sustained, hence the idea of a World Social Forum (WSF), with a charter, operating principles and an international committee composed of a few movements and personalities of the anti-globalization movement. 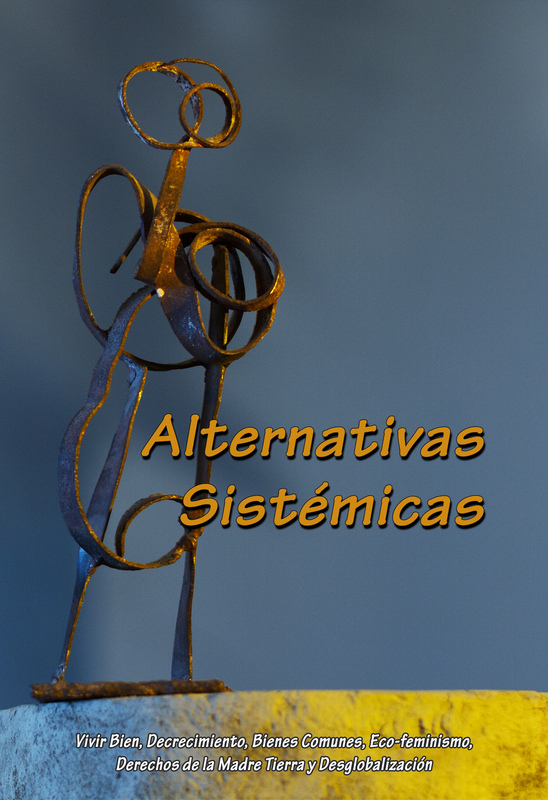 In 2002 and 2003, the Porto Alegre meeting, which had been somewhat a sort of a counter-part to the Davos Forum, became, little by little, a site for the exploration of various alternatives: democratization of cities (‘participatory budget’); demands for equality for women and for indigenous people; the struggle against escalating financialization and its devastating impact on the economy (of which ATTAC, initiated by Bernard Cassen and Ignacio Ramonet, has been the leading movement); the so-called social solidarity economy that is behind the proliferation of self-development projects of all kinds and, in parallel, a galaxy of demands, experiments, and struggles coming from organizations, movements, NGOs and institutions. Based on these advances, the WSF began from 2004, a great migration that brought it to India (2004), Venezuela, Pakistan and Mali (2006), Kenya (2007) and Senegal (2011), culminating most recently in the epicenter of the “Arab Spring” in Tunisia (2013 and 2015). Meanwhile, the Forum was regionalized and refocused in hundreds of continental initiatives (Forum of the Americas, Europe, Asia, etc. ), national and local (more than 1,000 local forums for 10 years) and sectoral (education, farmers, water, etc. forums). From being an event, the Forum has become a process, suitable for diverse networks, marked in a style differentiated by specific political cultures, oriented according to the priorities of the moment. Through it all, a huge and permanent “storm of ideas” have been given expression in a generally creative chaos, self-organized, and festive. In accordance with its charter, it was agreed that the Forum would not present any slogans, nor was it a prescriptive place nor a new “Internationale”, but a site for discussion, debate, and solidarity. However, the Forum, which did not claim to speak for the thousands of participants, was actually an incubator, stimulating and facilitating the development of strategies, projects, and demands. It was not the Forum that ‘decided’, rather thousands of people understood that it was time to take action when, for example, back in 2003, the Forum incubated a huge anti-war movement world-wide. Networks, such as peasant movements, took advantage of the Forum to strengthen Via Campesina. Trade unions and NGOs have, at least in part, come out of their bubbles to hear, know and interact with all kinds of movements, often local, but who have acquired through the Forum not only knowledge but the capacity to organize, produce analyses, and to speak out. The local and the international merge into hybrid ‘glocal’ forms, methods, strategies. By moving to different venues, the Forum has allowed Brazilians, Pakistanis, Malians, Tunisians, Americans and others, each to encounter the anti-globalization world. After some years, the Forum has gone through some diverse interrogations. Many, like the Philippine Walden Bello, wondered if it is ‘still worth it’. One could have the impression that the great “souk” or marketplace of the global justice movement had reached its limit of effectiveness. Others thought the Forum had move to a more politically active phase, involving itself in the development path of a new ‘Internationale’, as suggested by the late Hugo Chavez. However, a new wave of mobilizations – the Arab Spring, the Indignados, the red squares, Occupy and many other upsurges of angry masses has, to some extent, hijacked the Forum’s attention. While expressing indignation, these multitudes recreated, each in their own way, the experimental methodologies and debates of the Forum: participatory democracy, looking for new ways to work less hierarchically, an insistence on including sectors previously neglected by popular movements (women, youth, immigrants, national minorities, etc.). Equally, these great mobilizations re-opened, deepened and concretized the themes of the critique of neoliberalism, militarism, discrimination, while proposing that the societies concerned move in another direction: towards local development, decentralization, systematic struggles against exclusion, and, as the organizers of the World Social Forum in Tunisia said, DIGNITY. So, one could consider that the Forum as a concept, and not necessarily the Forum as a site, created and multiplied tenfold capacities and stimulated the popular movements. When in 2013 and in 2015, faced with the powerful uprisings of Tunisian and North African movements, it was decided to hold the WSF in Tunis, it was a little bit of that which was revealed. And taking the decisions to move the WSF to North America in 2016, the participating groups were nevertheless conscious of the risk that this represented. The proposition to move the process to the ‘North’ surprised many at first, but after many discussions, it has been decided that the advantages outweigh the disadvantages. On the one hand, Montréal is the site of a diversified and combative social movement in a social context somewhat welcoming and with proven capabilities of local popular organizations. On the other hand, the idea being to open up on the North America side, not only Quebecois, but also continentally, taking account of the mounting US struggles (Occupy, Black Lives Matter, teachers strikes, resistance of immigrants, etc. ), all that in the context of a vast debate launched by the presidential campaign of Bernie Sanders. Thus multiple preparatory meetings have been held in Québec, Canadian and US cities to give the Montréal WSF a definite North American aspect. There is in this choice, a gamble, and many challenges, including the issue of accessibility, particularly for African and Asian organizations, where to the problem of transport costs is added to the challenge of obtaining visas to ‘fortress’ Canada. During the nine years of neo-conservative administration there had been significant closing of the doors on those from the South. The organizing committee of the WSF 2016 considers the situation a little more favorable with the current federal government (Liberal), but nevertheless restrictive rules are still in place. Is it still a useful tool for strengthening popular movements, resisting neoliberal policies and seeking alternative solutions? Questioning is even more pressing in the context in which the wave of progressive change, particularly in South America, is losing momentum. At the same time, policy reversals towards the right and even towards the far right are gaining some strength everywhere. In the course of several recent major mobilizations, including the Arab Spring, the Indignados, Red Squares, similar questions are raised. The political spaces that had been opened to allow the emergence of progressive governments are closing. The experience of Greece in particular makes one think: what is the point of mobilizations if, at the end of the day, the same macro-economic operators will impose the same fundamental decisions that result in the same austerity policies? Another area of debate concerns the agents of change and the composition of mobilizations. The emergence of the ‘multitudes’ through semi-spontaneous networks (operating through social media in particular) revealed their depth and their resilience, but it also revealed their limitations in the sense that without organized convergence with established movements such as left coalitions, associations and unions, etc., the wall of power seems quite capable of recovering from the shock of the great uprisings we have seem in Cairo, Madrid, Istanbul, Montreal and New York. Finally, the cultural or ideological base of these mobilizations, all inspired to varying degrees by a generally left ideas (social democracy, communism, eco-socialism, anarchism) is given a rough ride by the new right-wing populism that seem able to exploit the anger and middle classes crippled by neoliberal globalization. The resurgence of racist themes, Islamophobia, anti-immigrant sentiments and so on in the fantasy of many societies, not just in the North, destabilizes these movements. The WSF is certainly challenged by all this. In this context, a number of reflections and propositions are in the process of taking shape and could open some debates in Montreal. In the first place, it is clear that the Forum, without being an ‘Internationale’ that imposes its decisions on others, has to be more proactive in giving impetus to, catalyzing and inspiring the movements. The latter feel the need for great convergences, for the means for meeting with others, where, on an international scale, they themselves have the capacity, autonomy and consensus to be able to elaborate common strategies. The hesitations or fears expressed in the past to the effect that the Forum could become a kind of ‘headquarters’ of the movements are legitimate, but on the other hand, there is a recognized necessity for movements to seize with both hands some major issues, without having a ‘central Committee’ which decides everything. At this moment, the Forum could open up the self-organized convergences and go further than the just producing a mixture of ideas which has characterized it thus far. The difficulty, of course, is to identify the points of convergences, which is certainly not easy to do, considering the incredible diversity (which also comes with an incredible richness) of the participants from social movements. Meanwhile from a methodological point of view, the Montreal Forum is innovating to facilitate this work, opening the door to groups of organizations (‘spaces’) that are already hard at work to not only identify issues that concern several groups, but also to explore strategies and resources that could help formulate appropriate responses. We see, for example, that in the education field, hundreds of organizations who used to present e their own perspectives one by one, are now encouraged to converge, on an international scale, to reflect together and prepare a course for discussion in a manner organized, coherent and action-oriented. For example, teachers’ unions from Québec, France, Brazil, Senegal and the USA, student associations from several countries, popular education networks and several other actors are coming together at the Forum, and not separately, in the hope that some great consensus will come out of the debates. – Stopping the development of fossil fuels. In Paris during the COP-21 meeting, an immense movement of citizens appeared which resists on a 1000 fronts. In several countries, there are in motion some mega-convergences against the pipelines and the oil and gas projects before which stand indigenous communities, ecologists, rural and per urban populations that are directly threatened. Given that such processes are underway, it is possible to imagine a global collaborative action emerging. – The struggle against war. The carnage in Syria, Iraq, Palestine, Afghanistan, ensuing from the criminal operations of the US in collaboration with other powers has to be confronted. The solidarity with the refugees is one component. The battle of BDS for imposing sanctions against the occupation of Palestine is another. The ‘encirclement’ of the military-industrial complex is equally a possibility through coordinated days of action globally. – Those responsible for the current mess, although more and more discredited, insist on imposing their policies. In the short term, the struggle against tax evasion, corruption and the policies intensifying speculation and financialization is a priority, as suggested by networks such as ATTC, CADTM and others. The struggle for a guaranteed minimum wage for all citizens is equally an urgent and necessary response to arrest impoverishment. – Finally, is it possible to block the drift rightward drift and to block the extreme right? The institutional coup d’état in Brazil opens up new mechanisms for repression, criminalization and exclusion. This reactionary drive is apparent elsewhere, in Argentina, Poland and India, giving way to a drift that is similar but not identical to the authoritarian regimes that the world knew about in the 20th century. A great international movement for democracy and against authoritarianism in all its forms would be a considerable advance. These topics and many others will traverse the Montreal Forum. In 1500 plenary meetings, in impromptu meetings in the parks and esplanades of Montreal, there will be debates, questions, and also answers that will lead to strategies, actions, and resistances. If this gamble pays off, there will be a new life for the World Social Forum. Previous Previous post: ¿Es posible el Vivir Bien? Next Next post: ¿Que pasó con los derechos de la Madre Tierra?